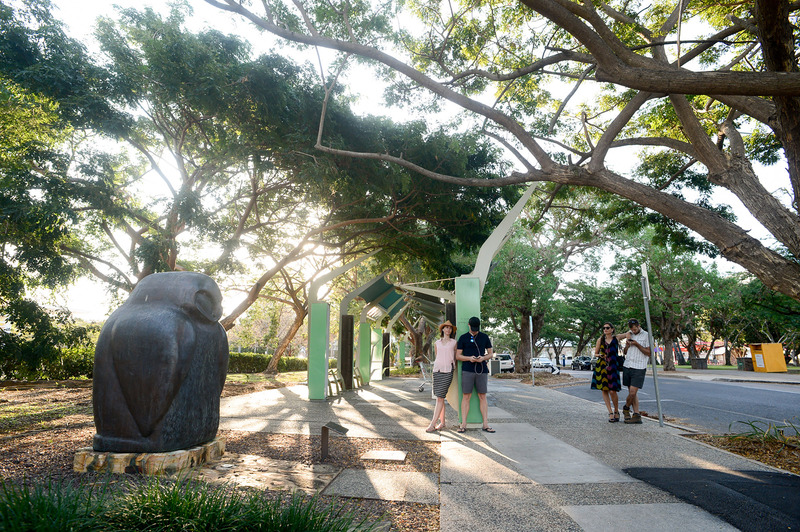 In Darwin, every corner has a story. But this history can be hard to see: in its short life the city has been almost completely destroyed four times – three times by cyclone and once by war – so Darwin has been rebuilt over and over again. Still, in between the shiny high-rise are lots of secret historic spots to discover. 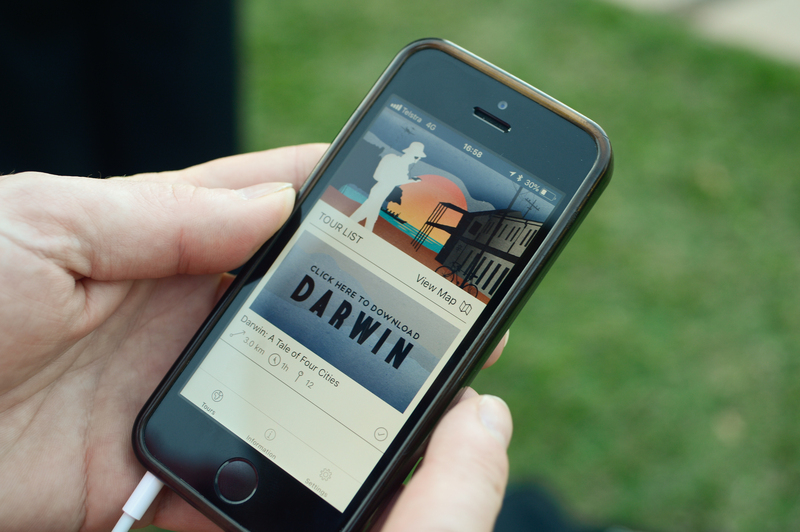 ‘Darwin: A Tale of Four Cities’ is a first-of-its-kind, immersive, self-guided, audio walking tour that takes you to ten of these locations around Darwin’s CBD. It is delivered to your mobile device or tablet via an app and headphones. It was meticulously researched by independent curator and former journalist Caddie Brain, based Northern Territory collections and oral histories. The tour also features the extraordinary personal story of narrator Charlie King, a legendary Northern Territory broadcaster and anti-violence campaigner and was funded by the Northern Territory Department of Tourism and Culture’s Live Darwin Arts program. In an Australian first, the tour is recorded binaurally, an innovative recording method that produces an immersive 3D sound augmented reality experience, on the street. Hundreds of locals were involved in re-creating historic soundscapes to support the audio stories that transport the listener back in time.